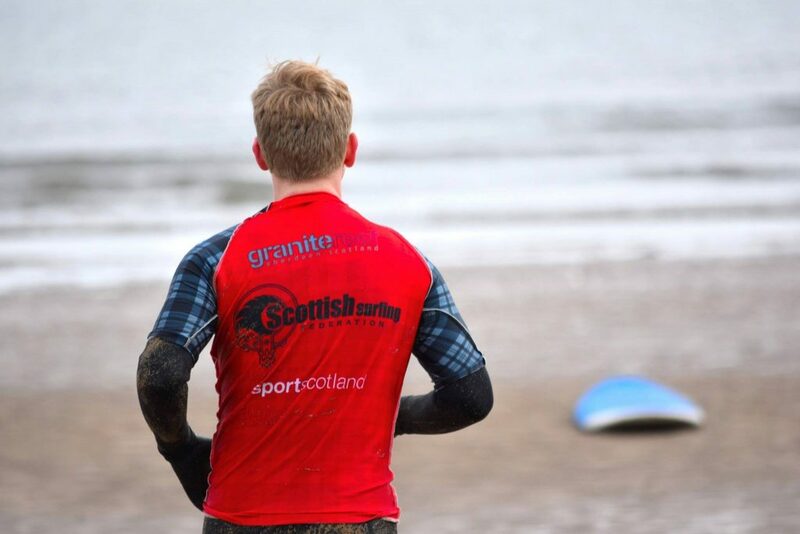 The Scottish University Championships ran this Saturday at a very sunny if surf depleted St Andrews. With participants from St Andrews, Edinburgh, Aberdeen and Robert Gordon the decision was made to jump in the water and run the event as a foamy shootout. This gave scope for a range of party tricks to make the most of the marginal conditions. With backflips, switches, reverses, cross stepping and some outrageous claims on show the crowd on the beach were certainly kept entertained. Combing these crowd pleasers with speed and flow were the secret to high scores on the day and soon we were left with just the finals in if it was possible even smaller surf. 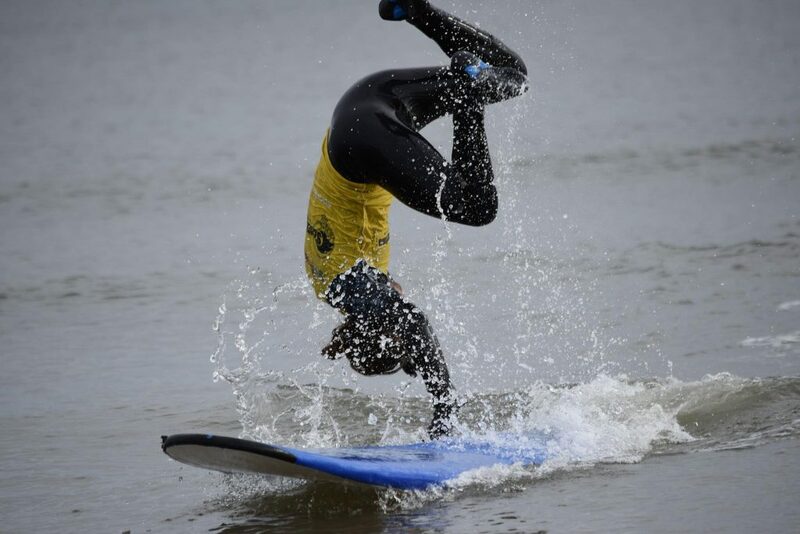 The ladies’ final took to the water first were clean trims were combed with switches and an assortment of yoga moves on the boards. 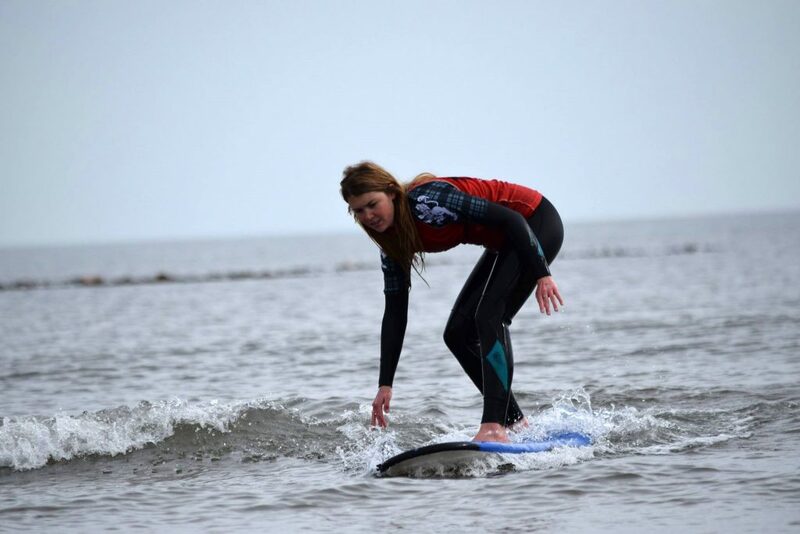 At the end of the heat Emily Dowd, Edinburgh Surf Club president came out on top. The men jumped into the water with a lot of camaraderie, challenging the judges with how to score board switches! In a very tight heat with a lot of creativity on the tricks front it was Edinburgh PhD Student Colin Brady beating individuals from his former institution to take the title with a smooth fakie ride to cross step combo on a set (shin high) wave. 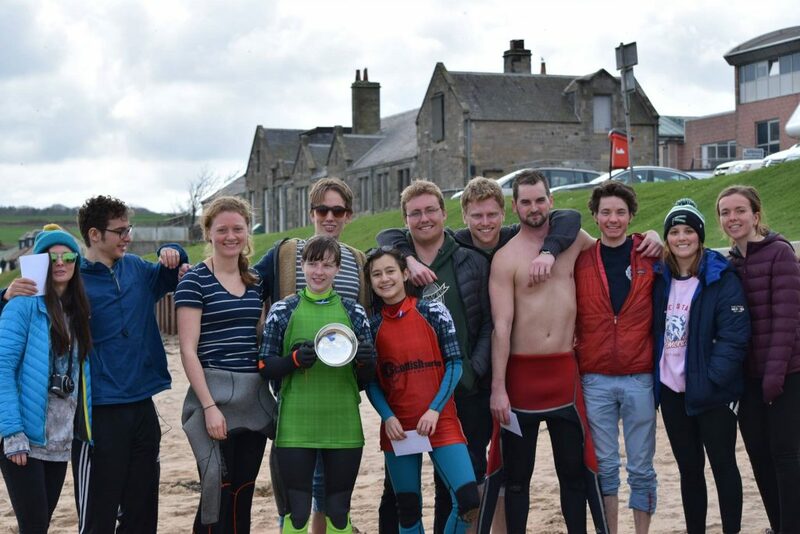 With the size of the waves it was perhaps not a surprise to see some of the more swell starved areas populating the finals but 1st places in both men’s and women’s mean this year Edinburgh take home the Scottish University Championships and the Quaich. A huge thank you to Granite Reef for sponsoring the event with some awesome prizes and the Quaich. 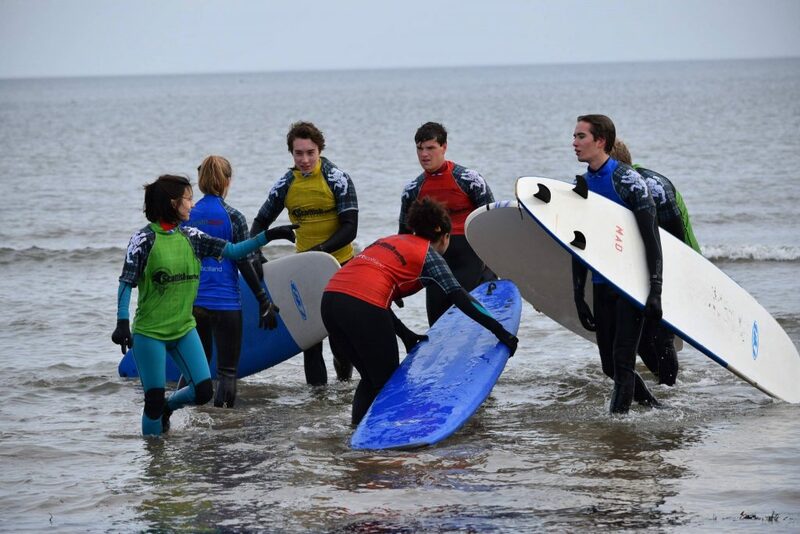 A big thank you to Blown Away for providing safety cover and massive thank you to the Surf St Andrews and Saints Sport – University of St Andrews for putting the event on at short notice. Finally thank you to all the awesome students who really got into the spirit and made it a great day. The SSF look forward to seeing which University is keen to host next year’s championships, hopefully with Scottish Student Sport affiliation. See you all next year, quietly confident the waves will be bigger!! !